Activision unveils the most massive stat tracking system ever. I think we're almost to the point where the time spent playing Call of Duty online is just about the actual age of the entire universe. 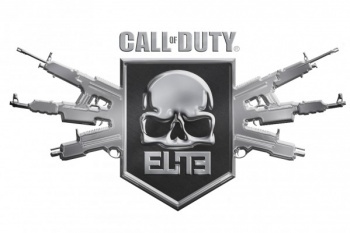 So Activision's new Elite service is at once perfectly reasonable and utterly inconceivable. Having been in a skunkworks at Activision for the past two years, the service was finally unveiled at E3 this year. The new HTML 5 site, viewable on tablets, phones, and even in-game, provides players with just about everything they could possibly want to know about their performance in the industry's leading shooter. Most players of online shooters are used to seeing stats for time played, kills vs. deaths, and favorite weapon, but Elite goes about a million steps beyond that. Players can also view their last ten matches, seeing a heat map of their position and activity during the match, as well as the location of every kill or death they earned as well as the location of whoever it was they killed or were killed by. You can go into any of these matches and see death-by-death exactly where you were when you killed or were killed by someone else. The death stats also let you know which weapon was used, including the mods which were attached. Rankings for your victims and nemeses for each game are also listed, and are hotlinked to that player's profile, so you can see all the stats relevant to their performance and see what loadouts they've been using. If you like a particular player's loadout, Elite even allows you to change your loadout on the web or on your phone and have that loadout uploaded to your console game as soon as it starts. The Improvement section of the Elite site where you can view stats for individual weapons, see videos that suggest ways each weapon can be used, and track your progress toward unlocking the next rank. Having the option to read articles that outline the pros and cons of each weapon, and see video guides to help you use them more appropriately sounds awesome. The team behind Elite is even hinting that they might contact the top performing members of the community to create exclusive content for these lessons. Even if you're not the best, you can also upload YouTube videos to Elite, which will tag every single player located in the video and send notices to them that they've appeared in a new video. Naturally, Elite also includes full clan and group tools. You can make groups out of basically anything you want, from Chicago Bears fans to redheads to Mormons (there's bound to be some overlap there). The team hopes to include the group affiliations in the game itself, so you can tell when you're playing another red-headed Mormon Bears fan. The clans seem a bit more competitive but the team wasn't willing to offer any specific details yet. What they were willing to talk about are the new challenges. Elite will offer events on a regular basis. You might, for instance, see an update about playing with the developers. There will also be operations, which are sort of stat-driven challenges you can compete in. Leagues, which will require an upgrade to the paid premium service, can even compete in five-to-six weeklong operations in a sort of fantasy football format. In case you're worried, Activision promises that most of the functionality will be free and even those that cost will be "comparable" to the price of other services and will have the added bonus of automatically bundling in any DLC for the games. There's a chance for all this data to find its way back into the game, not only for tweaking and balancing, but also for displaying the community's like or dislike of certain features. The fan groups could even be used for a kind of advocacy, pushing the players' wishes onto the publisher. Right now the system supports the current versions of the game, but it's meant to expand with future sequels (breaking news: Activision will make another Call of Duty). The team promises more information, particularly with regard to pricing, in the coming months.